1956 Class C Pole Vault Record – 12’6″. Football (Quarterback, Halfback, Punter) – 1957, 1958, 1959. Football Writers Association All-American – 1959. Signed by the Chicago White Sox in 1960. 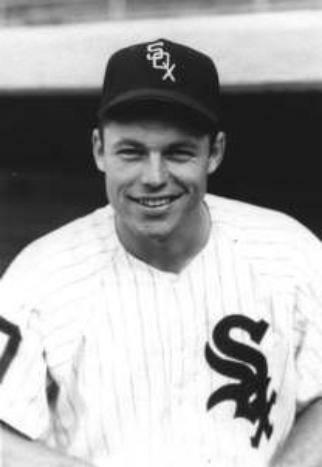 Played briefly for the White Sox (3 games) in 1961. Originally drafted by the Denver Broncos in 1960, Look chose to play baseball. Played one game with the New York Titans in 1962. Look is most notable for his 29 years of service as an NFL official and was the side judge who signaled touchdown on the historical Joe Montana to Dwight Clark pass better known as “The Catch” during the 1982 NFC Championship game between the Dallas Cowboys and the San Francisco 49ers. Look was assigned to three Super Bowls – Super Bowl XIII in 1979, Super Bowl XV in 1981, and Super Bowl XXVII in 1993.